Some exciting news to share with every Cultus Lake resident and visitor, specifically Creekside Mills owners and future residents. 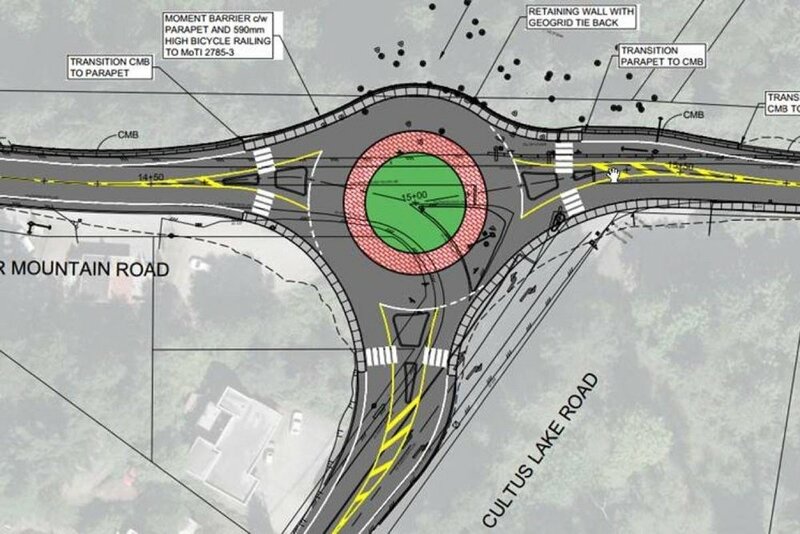 Following the much needed Vedder Bridge Replacement project (which included a brand new bridge and roundabout set to complete Oct 2017), the City of Chilliwack has approved construction of an additional roundabout at the foot of Columbia Valley Highway (aka Cultus Lake Road) and Vedder Mountain Road. The design has been completed and construction will begin this September, with an estimated completion of October, 2018. Sept - Oct 2018 : Sidewalks, Signage, Final Paving (at night) and Line Painting (at night).